Written by chris maroulakos on Tuesday, November 15th, 2016 at 9:00am. Lights strobed in fit-inducing flutters. Full-stack amps loomed like monoliths on the stage. Dentist-drill guitar riffs punctured the teeth-rattling low end. Singer Alexis Krauss acted as her own hype man, alternating between delicate falsettos and forceful exclamations. It was wild, it was head-splitting. It was infectious, it was an assault on the senses. 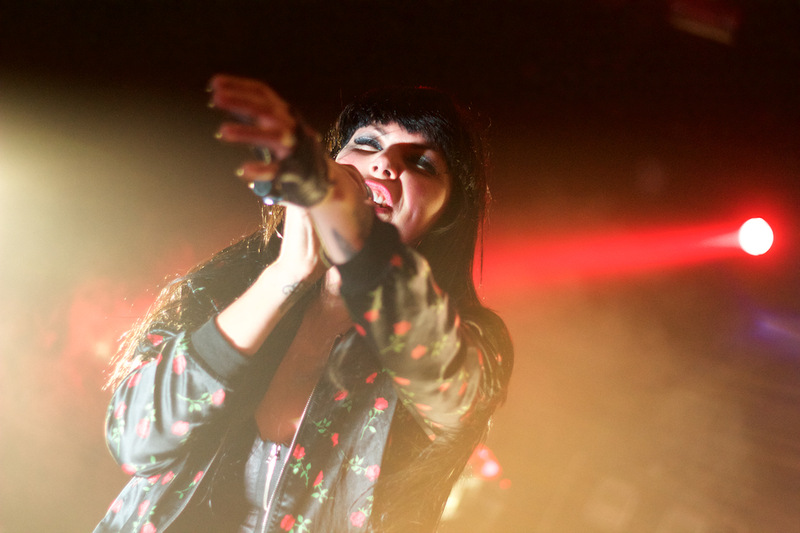 It was a Sleigh Bells show, and it was a damn good time.